I've been painting some backgrounds to create sample fabrics for my Arresting Resists class. 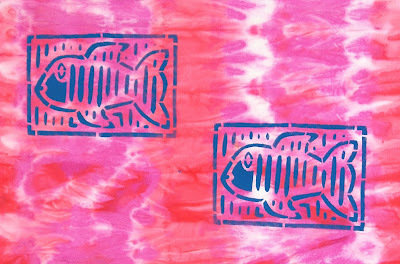 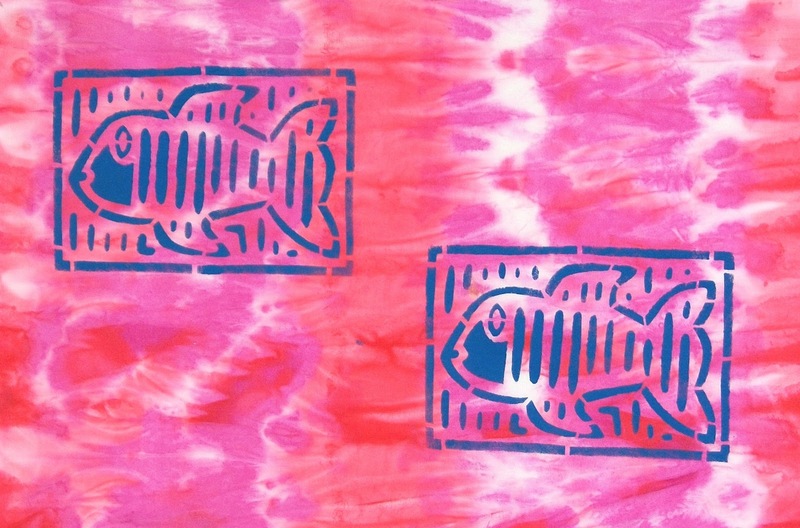 As you can see with the fish mola design, a knotted resist can be an effective background, providing color and texture. 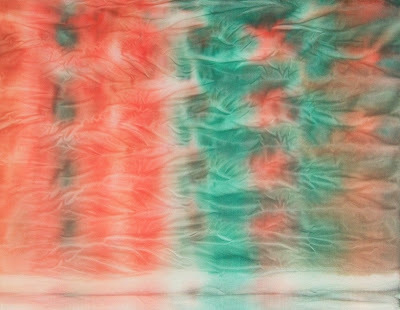 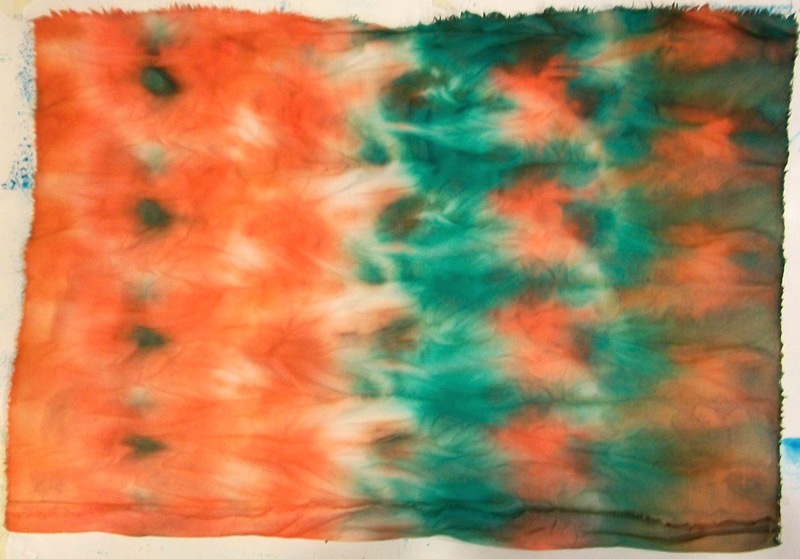 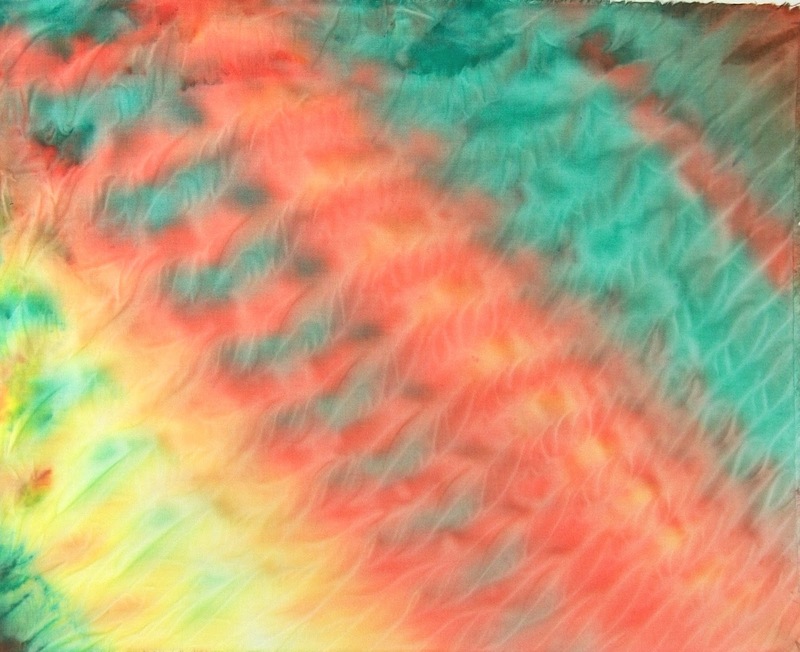 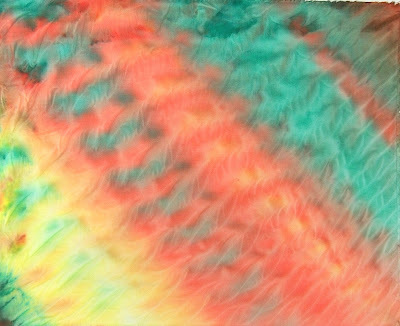 I start by mixing up Pebeo Setacolor Transparent Fabric Paints. 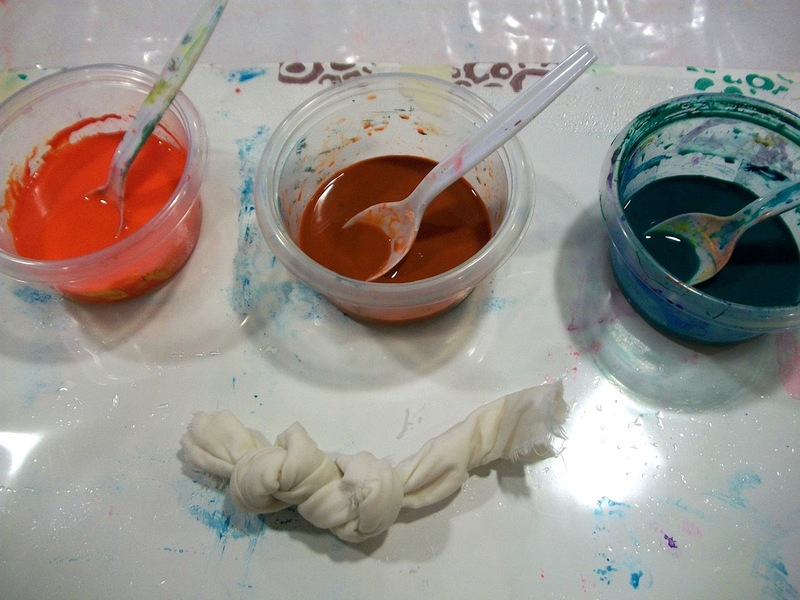 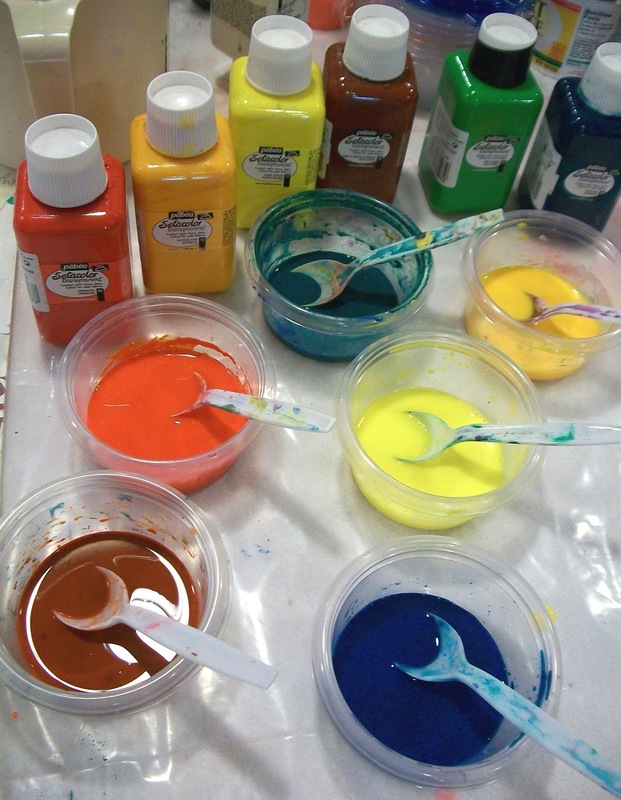 These paints are diluted with water (1 part paint to 2 parts water) before being applied with foam brushes. Before knotting the cotton fabric, I mist it with water. 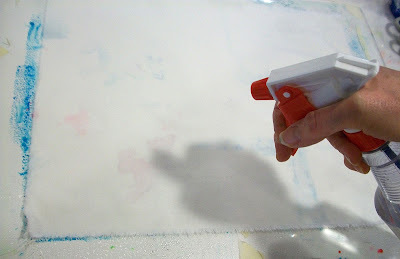 This helps the paint flow a bit better. 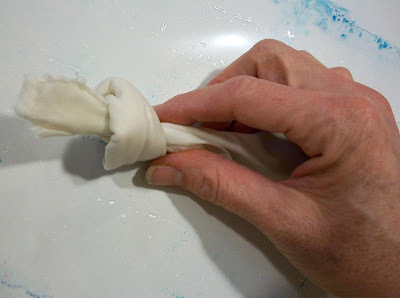 Roll the fabric into a tube (or you can roll and twist) and then knot. 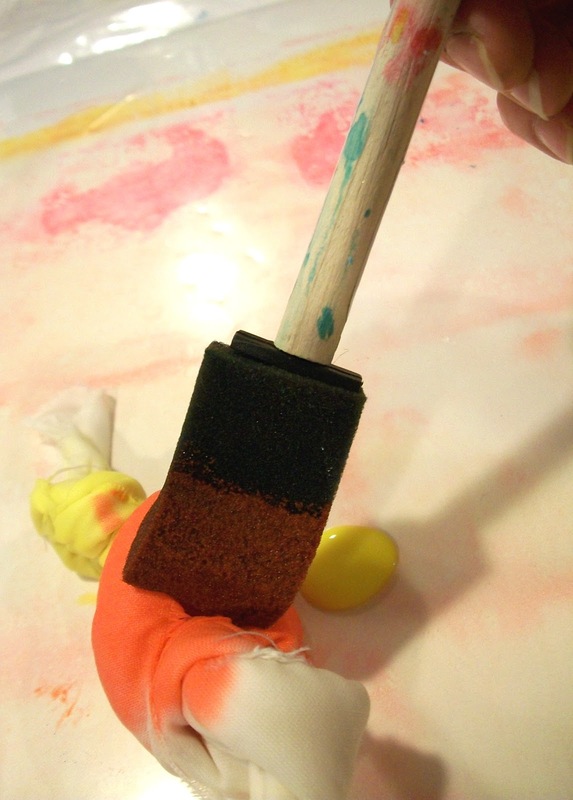 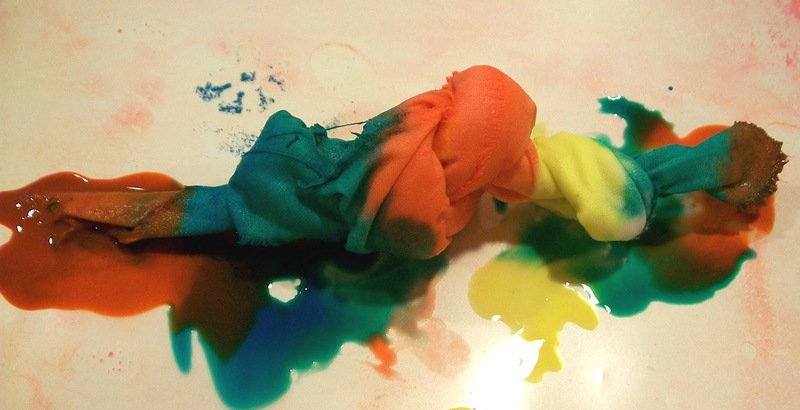 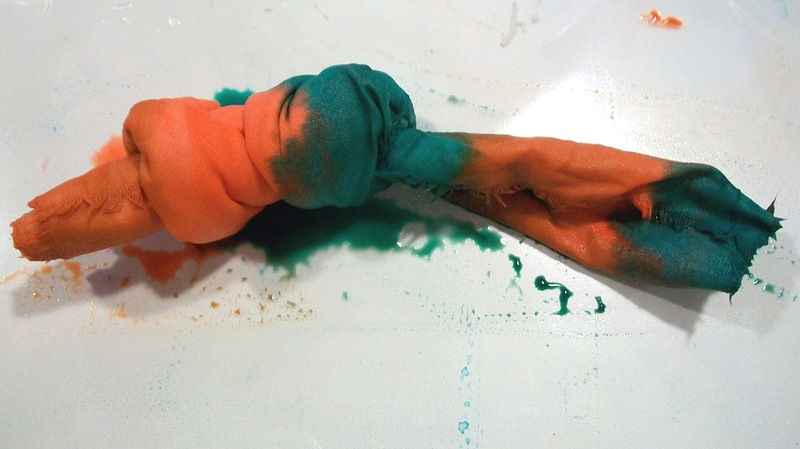 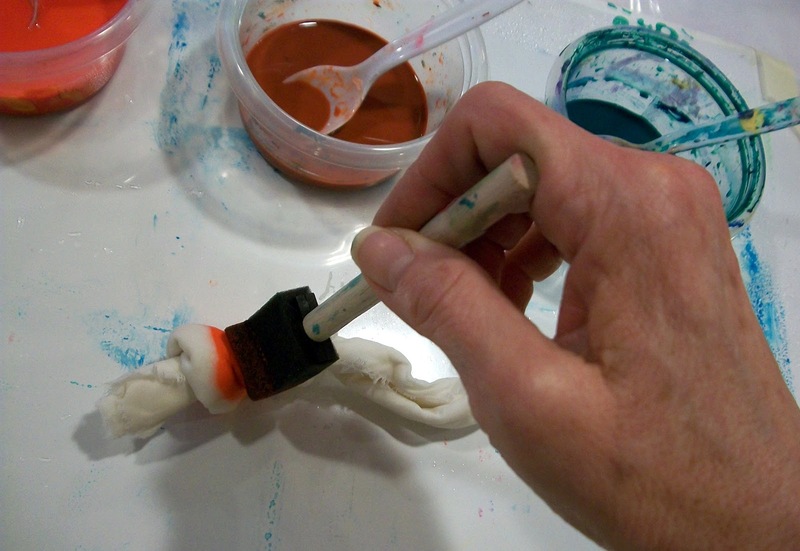 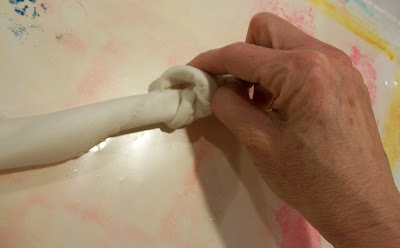 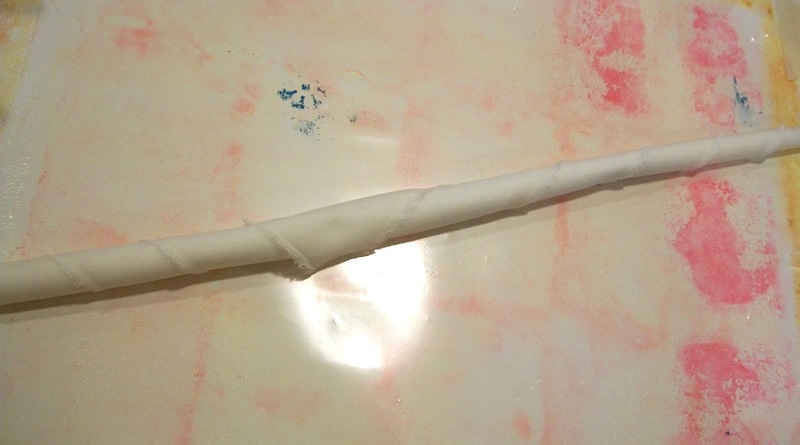 Use the foam brushes to push the paint into the knots and rolled fabric. You can also roll the fabric on the diagonal. Let the fabric dry until it is just damp before unknotting and laying flat to finish drying. When the fabric is finished drying, iron out the wrinkles. 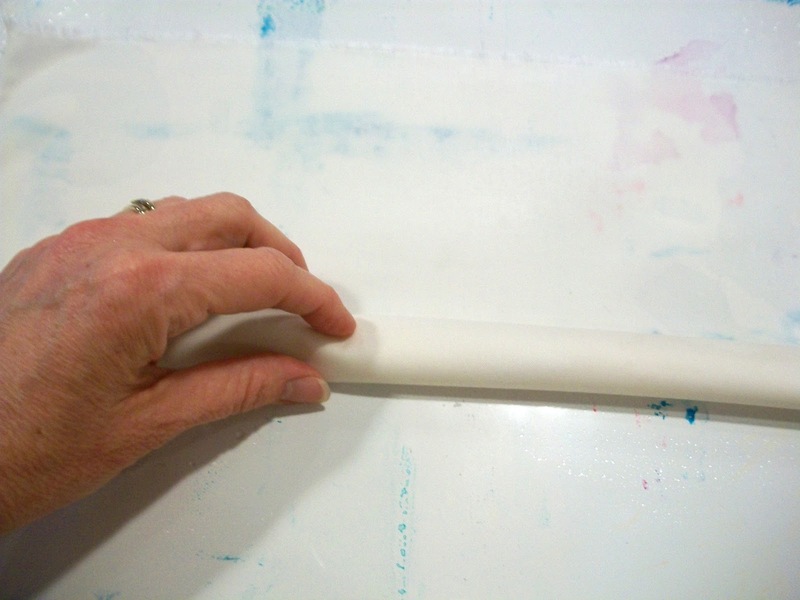 Now you are ready to add another layer of resists or printing. 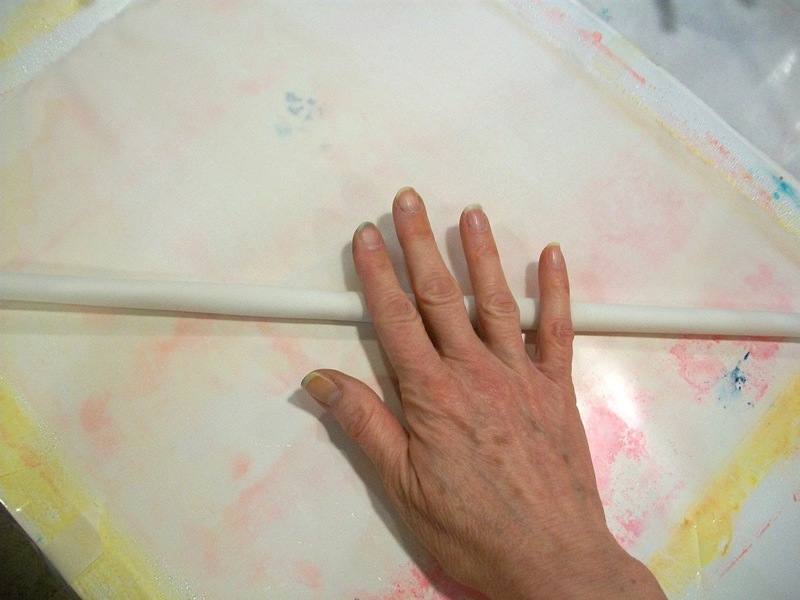 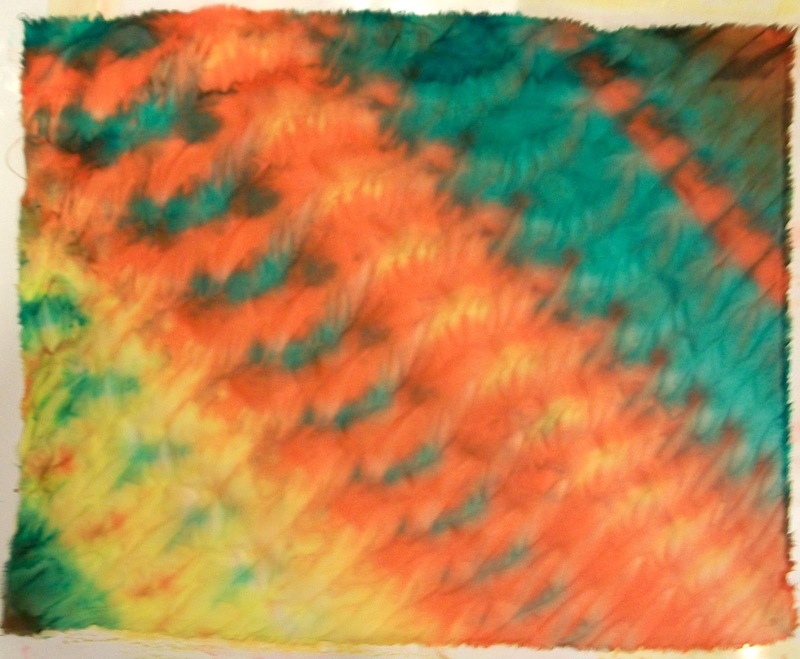 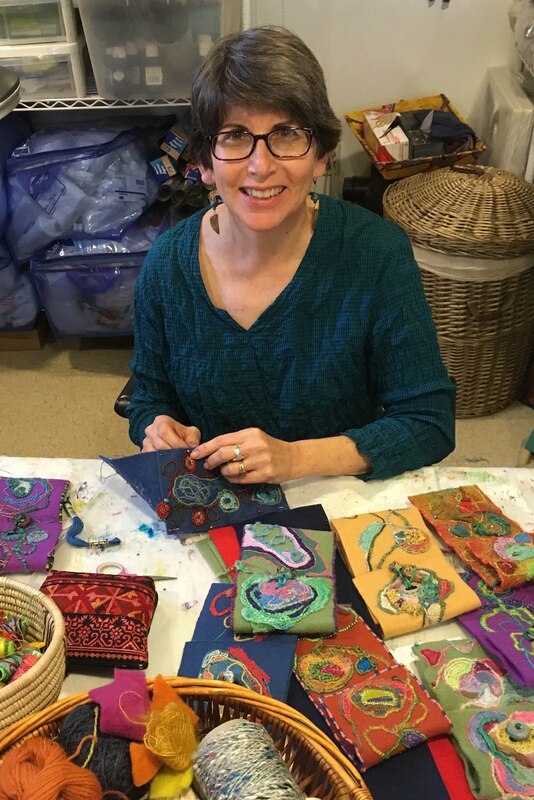 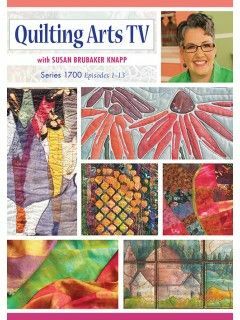 Tomorrow, I'll demonstrate how to make wipe up cloth and monoprint background fabrics.